Last week, the People’s Liberation Army Navy (PLAN) assembled all of its most advanced warships, aircraft, and nuclear submarines for a massive show of force in the South China Sea. We explained, how the 3-day war drill from April 10 through 13 would be held in the waters south of China’s Hainan Island. LONDON/BERLIN/RIYADH (Own report) – With its continued worldwide support for Salafis, Germany’s close partner, Saudi Arabia, is relentlessly fertilizing the soil for the growth of jihadi terror, according to the German Institute for International and Security Affairs (SWP). “The consequences of Saudi Arabia’s support for Salafism are catastrophic,” the SWP concludes in light of IS/Daesh activities in Europe. British experts are also sharply criticizing cooperation with Riyadh. If one seriously wants to combat jihadi terror, one “should start by stopping the mass export of Wahhabism’s intolerance and hatred from Saudi Arabia,” an insider recommends. This is, however, countered by Germany, other European powers and North America’s relentless cooperation with the Saudi ruling clan. Just a few weeks ago, Chancellor Angela Merkel launched regular military cooperation with the Saudi armed forces. Out of consideration for Riyadh, the British government has been withholding an investigation, showing the – presumably Saudi – financiers of British jihadis. This had been made known only three days before the latest terror attack in London. MOSCOW–Russia moved to forge stronger ties with the 10-nation Association of Southeast Asian Nations (ASEAN) last week, pledging to focus on economy rather than geopolitical alliances. Local observers preferred to highlight geopolitical aspects of the rapprochement between Russia and Southeast Asia. Russian media outlets, including Sputnik International, noted that Russia looked to the East, seeking new allies among US partners in Asia. Vietnamese Ambassador to Russia Nguyen Thanh Sean says that his country is not opposed to the Russian Navy returning to the base in Cam Ranh Bay, on the condition that its presence is not directed against any third country. Will Russia take the opportunity to regain a foothold in Southeast Asia? Svobodnaya Pressa journalist Anton Mardasov explores. “I have no doubt that the jubilee Russia-ASEAN summit will facilitate multilateral cooperation between ASEAN and Russia and will lay a path toward strategic partnership between the two sides,” Prayut said. 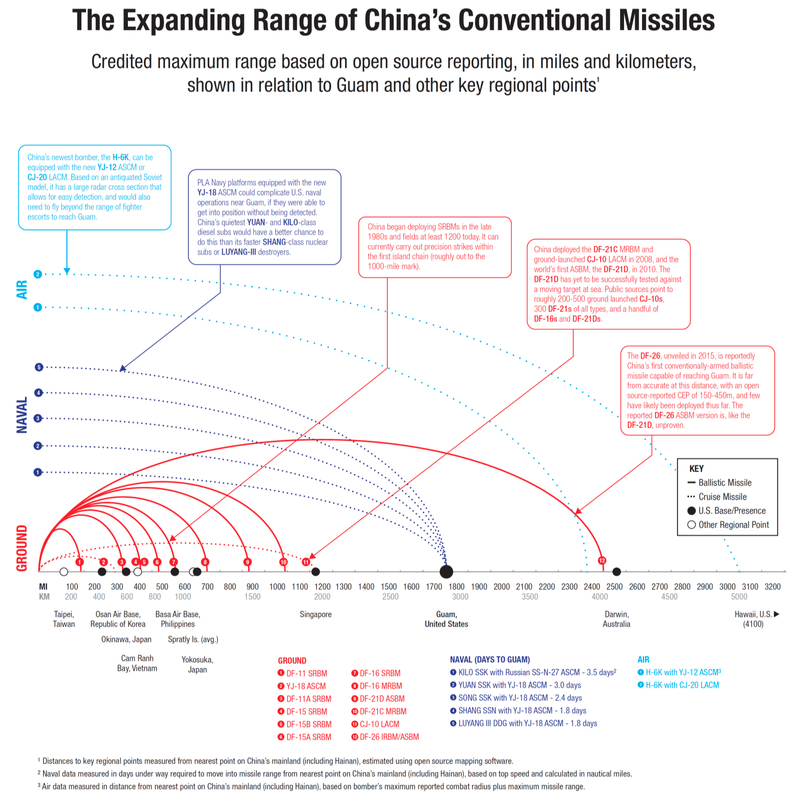 China is building up intermediate-range ballistic and cruise missiles that pose a growing threat to Guam, the strategic Pacific island that is central to the U.S. military pivot to Asia, according to a congressional report made public Tuesday. An Australian military surveillance plane has flown near disputed areas of the South China Sea, it emerged Wednesday, with the crew heard warning China’s navy it was on a freedom of navigation mission. WASHINGTON (Reuters) – China appears to be building a third airstrip in contested territory in the South China Sea, a U.S. expert said on Monday, citing satellite photographs taken last week. Vietnam is in the process of acquiring 50 anti-ship and land attack 3M-14E Klub supersonic cruise missiles for its burgeoning fleet of SSK Kilo-class diesel-electric submarines, Der Spiegel Online reports. 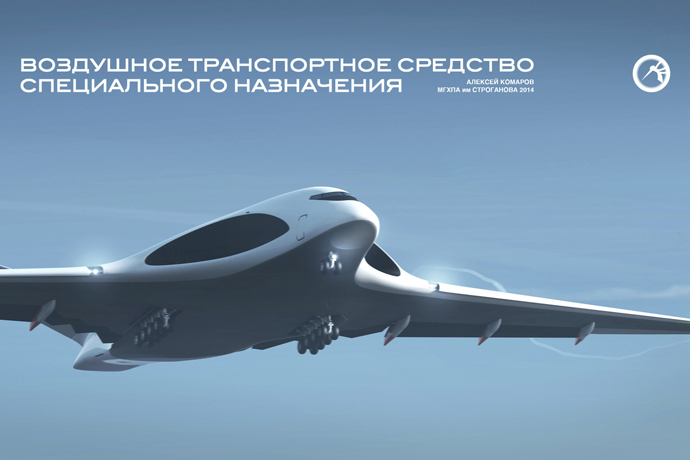 According to a new design specification from the Military-Industrial Commission in Moscow, a transport aircraft, dubbed PAK TA, will fly at supersonic speeds (up to 2,000 km/h) and will boast an impressively high payload of up to 200 tons. It will also have a range of at least 7,000 kilometers. The PAK TA program envisages 80 new cargo aircraft to be built by 2024. This means in a decade Russia’s Central Command will be able to place a battle-ready armored army anywhere, Expert Online reports, citing a source in the military who attended the closed meeting.